Atari Red labels were produced from 1986-1990 when Atari was attempting to revive the system. These labels range in color between dark-red and red-brown. For the first year, the pictures were monochrome, then Atari switched to color pictures on the red background. The text is white, and the end label is red with white text as well. 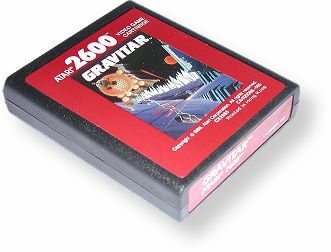 Some Red label games are re-issues of previous titles such as Gravitar and Space Invaders. Others were only released as a Red label. Atari also released all of their third-party licensed games with this label (Donkey Kong, Q*bert, etc.). Records Found: 51 Click on a column header to sort by that column. Click again to reverse sort order.